Welcome to Nightingale Mobility! We offer a range of luxury mobility bathroom products. Nightingale Mobility is the retail trading name of Nightingale Bathrooms, a family run business based in Kent. With over 15 years’ experience in installing and adapting bathrooms for the elderly and less able. Good old fashioned values and attitude towards customer service is what we are proud of. Nightingale Bathrooms started in Rochester with its glorious castle and historic links to Charles Dickens. After a move in April 2014, Head Office is now based in the picturesque village of Birling in West Malling. We can be found at The Hay Barn on Birling Place Farm which is an area of natural outstanding beauty. Following the success of our disability bathroom installations, and after being asked by customers to sell them some of our products, we have formed a retail arm of the company under Nightingale Mobility. 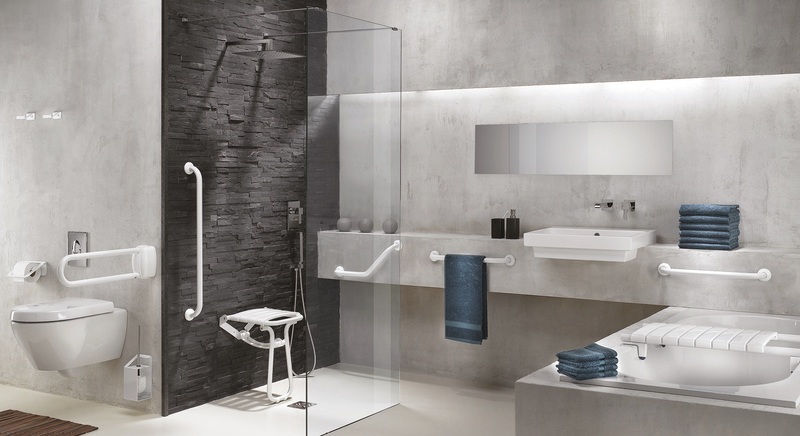 We now retail the more unusual bathroom mobility products that we come across such as contemporary, sleek shower seats and grab bars. For questions about any of our products please give us a call or complete our contact form here. If you require installation then please visit Nightingale Bathrooms website where you can chat to us.